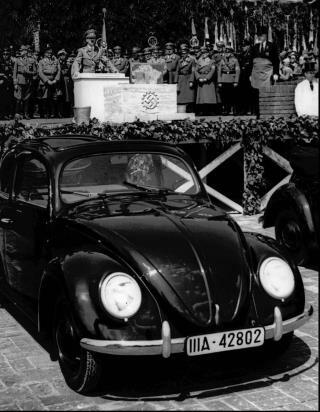 (Newser) – Volkswagen's troubles continue after its record-breaking $14.7 billion emissions-scandal settlement last week, with the controversy now swirling around a historian who helped uncover the company's Nazi past. The New York Times dives into the sudden end of Manfred Grieger's contract with VW, now being criticized for "disposing of an enlightener" by other historians, including 75 academics who penned an open letter railing against what they insinuate was Grieger's dismissal for historical whistleblowing. "Transparency in reacting to the public is not really the strength of VW," Hartmut Berghoff, the Georg-August University professor who spurred the letter in Grieger's defense, tells the Times. Both VW and Grieger are mum about the circumstances surrounding his abrupt departure, but the Times notes it seems to be tied to a 518-page 2014 study of the labor practices of VW subsidiary Audi. This serves no useful purpose. "All is fair in love and war". Not one of us is perfect, so let's just accept this as some historical revelation and move on. How about Ford's cozy relationship with the former Soviet Union? That went on for decades. There's plenty of dirt to spread around, but is any of this really news? Whether in peace or war, all manufacturers seek advantage, influence, and profits. Nobody comes out with clean hands. We can hardly pretend to be shocked at a system we ourselves participate in. Damn! Before you know it someone will be publishing a story about the Obama administration keeping GM afloat.